A few days ago we released the pre-alpha demo of Eternal Escape. Besides a short tutorial, you can play a demo level. 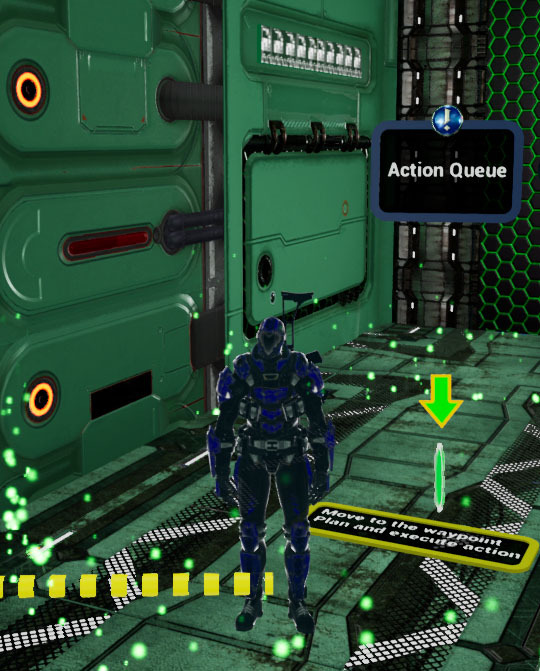 Here you can experience the gameplay during a tactical mission. This involves things you might be familiar with like cover-system and different actions. 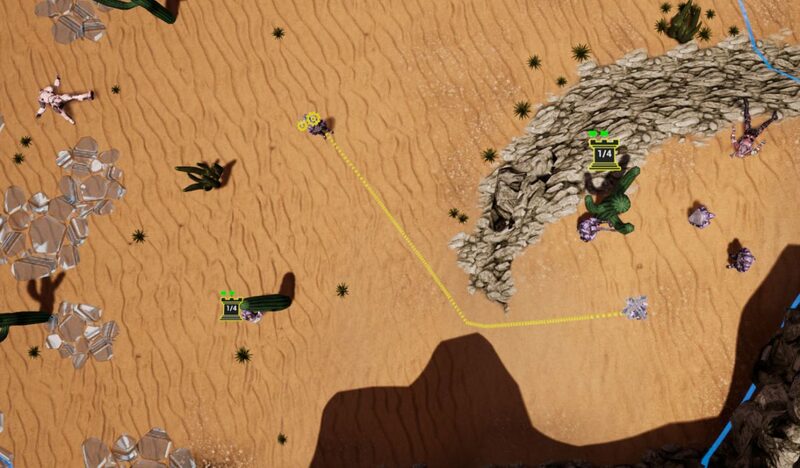 Also, we have brand new features never before seen in a turn-based tactical game, such as our plan&execute system. Both the tutorial and the mission level will be improved and expanded, bugs will be fixed and new feature introduced in upcoming demo versions. In addition, we will establish the first steps towards transparent, community-based development. You can report bugs in the game, or discuss ideas in our forum. We are looking forward to getting your feedback. During the demo mission, you play a predetermined squad of 5 units. You can try out the four different unit classes and a unique leader class. Each class has its own weapon, unique playstyle, and different skills at their disposal. The Assault is a heavy armored melee fighter that can knock down or charge at enemies. As a mobile and flexible marksman, the Scout has high attack accuracy as well as a few cool tricks like sprinting, blending an enemy or feign its own death. The Alchemist is a strange fellow who can attack multiple enemies at once using toxic chemicals and burning fluids and can also heal or cleanse your squad. If you want to do serious damage from far away the Hitman is your first choice though lacking both armor and mobility. The Leader can perform one additional action per turn, has superior armor and a wide variety of both combat and support skills. Because development is still work in progress characters classes and their skills are likely to change in future. Your squad leader has to explore mysterious ancient ruins while finding his squad members. You have to destroy enemy outposts and eliminate their commanders in order to finish the mission. Your first playthrough can take about 2-3 hours. You might also need a bit time to get familiar with our plan&execute system and you will probably die a few times. But don’t be afraid! You can save your progress at any time. In contrast to most turn-based tactics games, we have a third person view, per unit turn-order (not faction-wise), up to three actions per unit/turn, extensive game rules consisting of over a dozen attributes, damage-armor-system and several skills and effects. Our plan&execute system separates a turn in planning and execution phase, which is unique for this genre. This changes the way how a turn-based game is played and offers several advantages. You can undo/redo our actions as you like. You can plan the route to an attack position, try to find the best spot to throw a grenade and then withdraw to a nearby cover. Each planned step can be replaced by another position or action. If you are satisfied you can (partially) execute your plan. As one of the most important features in our game, it will also be continuously improved and expanded. We are well aware of the fact that Eternal Escape is visually not state of the art (you can read about our progress on this topic in our previous blog post). However, the demo is only meant to demonstrate the basic gameplay. Be assured that we are working hard on the visuals like characters, animations or user interface. We will keep you up to date on our progress in future blog posts. Neither the mission level nor the current tutorial level will be included in the final game. Just look at it as a prototype that we want to share with the public. We will continue to develop the demo until early access of the actual game starts. Look forward to more content like the scenario map where you can travel to the next mission, adjust and deploy your combat squad etc. Our goal is to add, improve or perhaps change/remove features with your help so that they are perfectly balanced in the final game. We will update you on the development and our progress on all our social media channels. To get fast, and straightforward news about Eternal Escape, you can follow us on Twitter. We are very thankful for every feedback, for this you can register on our website and share your experiences on our forum. Please help us making Eternal Escape something special and share our game on any social networks with your friends. As always if you have any further questions, do not hesitate to contact us through either social media or any other communication. Thank you very much.